There are a hundred and one places to get free ebooks, including free ebook sites, through the Kindle Store and other ebookstores, and (last but not least) your local public library. When it comes to fiction, OverDrive is the most used platform. OD offers apps for Android, Windows Phone, and iOS. It also lets you read in your web browser and works with most ereaders, including the Kindle (but only in the US). Here's how you can read OverDrive ebooks. Most libraries will only issue a library card to local residents, but a handful do issue cards to non-residents. You'll of course need to get a library ebook before checking out any ebooks, and for that you'll need to check with the library. Do you want to read on the Kindle or in your web browser, or do you want to read on OverDrive's apps? I'm asking you this question now, because the steps you take will differ depending on your choice. You can read the errata section for more details as to why. If I were you, I would use the Kindle. It's easier. But the choice is yours, and I will lay out both methods. 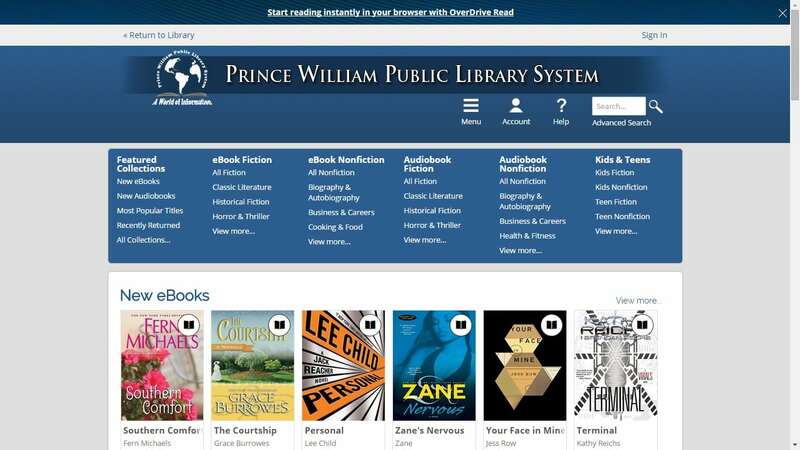 Browse the page, and once you find an available ebook you like you can check it out using the library card number and pin. Once you have the ebook in your account, you can read it in your web browser (with most titles) or send it to your Kindle. If you have a Kindle account and you're in the US, you can read most OverDrive library ebooks on your Kindle. It is in fact easier to read on your Kindle than it is to read in Overdrive's own apps. After you've checked out an ebook, select the option to download the Kindle ebook. This will take you to Amazon.com and, after you log in, you'll be presented with a page where you can choose to send the ebook to your Kindle ereader, Fire tablet, or Kindle app. If the option is available, that is less work than using OverDrive's apps. But if it's not, here's how to read the ebook on an OverDrive app. I've just spent the past several hours struggling with the Android app, and according to OverDrive's website the basic procedure is the same across all the apps. You'll need to set up an OverDrive account inside the app. You can either create a new account or log in with your Facebook credentials. Once you've logged in, you'll be prompted to search for a library where you have a library card. Select it, and then log in to that library with your library card and pin. The app will save the info, so you won't have to do this nonsense a second time. Now that the ebook is checked out, find the ebook in your bookshelf. 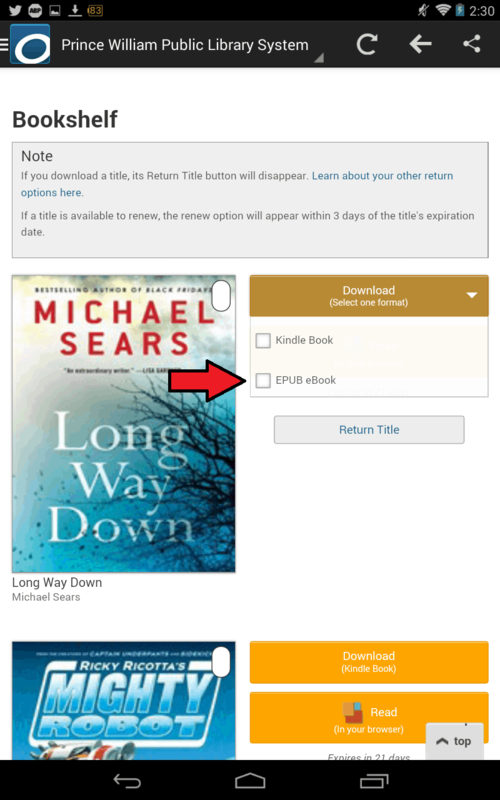 Press the download button, and choose the option to download the Epub ebook. Then confirm your choice. 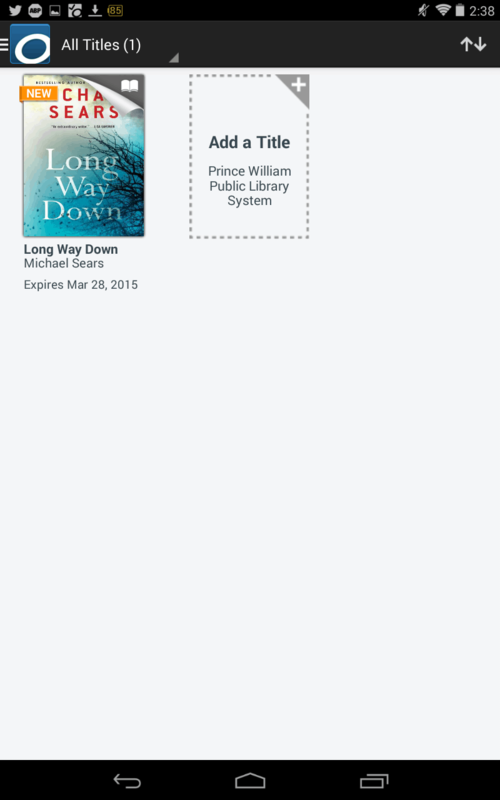 This should automatically send the book directly to your OverDrive app. 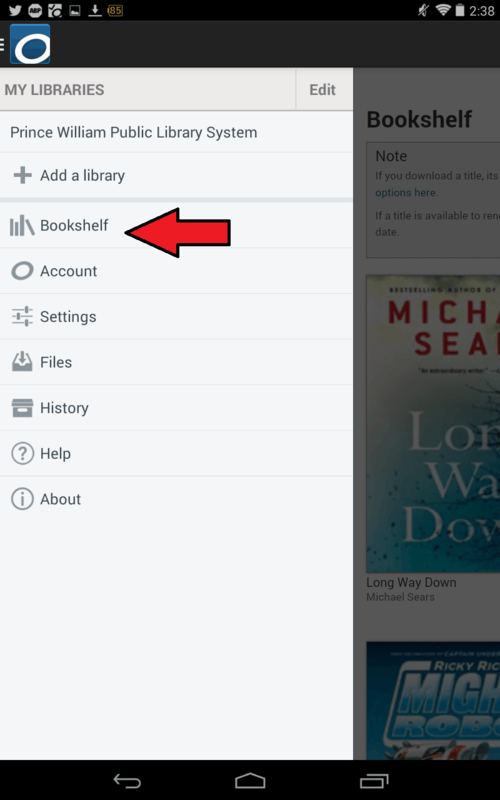 To find and read your ebook, open the sidebar menu and choose the bookshelf option. This will take you to a menu where you can see all of the ebooks downloaded to the device you're holding. And now you can read the ebook! Here are a few of the problems and quirks I've encountered. You might want to change the default checkout period from 7 days to 21 days. You can find this under the settings menu. The option to read on the Kindle is only available in the US, sorry. For some unknown reason, I can't check out an ebook in my web browser and read it in the OverDrive (Android) app. There's an option in the settings menu to exclude mature content from your search results, and another option to prevent mature covers from being shown. Here's the link to the OverDrive help pages. I checkout books in the browser and read them in the Overdrive app all the time. You just go to your library from My Libraries in the Overdrive menu. Then just go to your account, bookshelf, and download. I can’t get it to work. When I try to download the ebook inside the app after checking it from the website, the only option I am offered is for the Kindle format. I had this problem with 3 different ebooks. I only use epub, so maybe it’s only a problem for Kindle format. Can you borrow Kindle format from the app? It kicks me over to Amazon’s website, yes. I guess having to leave the app to borrow a Kindle book shows you can’t read a Kindle book within the app. When using OverDrive you can only choose to download an epub or Kindle version, not both. If you chose to download the Kindle version when checking out on the website you can’t then download the epub using the OverDrive Android app. (It only reads epub books.) You would need to open the Kindle app on your device and download the book from your cloud account. Ah, but I didn’t choose to download the Kindle version. I simply checked out the ebook and then was unable to open it in the app. I wasn’t aware Overdrive had a reading app for Windows Phone, thanks for pointing it out! Took about 3 minutes to install the app, find my local library, check a book out and start reading. Thanks! Assuming you have overdrive installed and set up on the kindle fire, it’s a handy app — when you got to download an epub from another site such as openlibrary.org or enkilibrary.org, your fire will offer the option of loading the book onto the overdrive bookshelf. The reading interface is good enough that you don’t need to install yet another epub reader onto the fire. The Aldiko reading app lets you check-out and read library books directly within the app. You just need to configure it with your library (overdrive) account info. For my purposes, Aldiko has much better reading features than the Overdrive app itself. From the instructions I found, it doesn’t look very easy to do. Thanks! I was just reading library book and wanted to search for a word and couldn’t find how to do it in Overdrive, but in Aldiko you can search. I encountered that as well. I hope I managed to sidestep that issue in my instructions. I prefer using the Kindle app and only use the Overdrive app when a library ebook isn’t available in Kindle format. The Overdrive app process is very clunky, and I’ve never been able to get it to sync between devices. That’s very annoying since I read ebooks from both my phone and tablet depending on where I am at the time. The Kindle app is near-flawless in its syncing between devices. Thank you! The last time I tried to check out an e-book from the library (some time ago) it didn’t work, so I’ve been putting off figuring it out. This was relatively easy. I love the Overdrive APP! I read only epub on my Kindle(s) because Amazon makes me jump through to many hoops to check out, deliver and return the Kindle format. As far as syncing between devices with Overdrive I’ve never done it. I have re-downloaded to another Kindle but not to my phone or my browser. I also use the Overdrive Console to download audiobooks to all my devices. It is so easy just to download a chapter or two on my mobile Kindle or i-Pad to listen while commuting. The only problem I had (in the early days of OD) was with Adobe Reader on my PC……it was a pain, but now with the app I never any problems and I download from five library systems. Overdrive is the best thing to happen to my reading life in years! I use overdrive all the time to download library books and love it. while reading I notice that if I accidentally touch it in a certain way I bring up a dictionary. I would like to know how to control that function correctly and learn of any other functions that may be available on the app? Any tips on where to find this info? What Kindle do you have? I wasn’t aware you could download epub on a Kindle. So much easier to buy a paper book than use this junk.